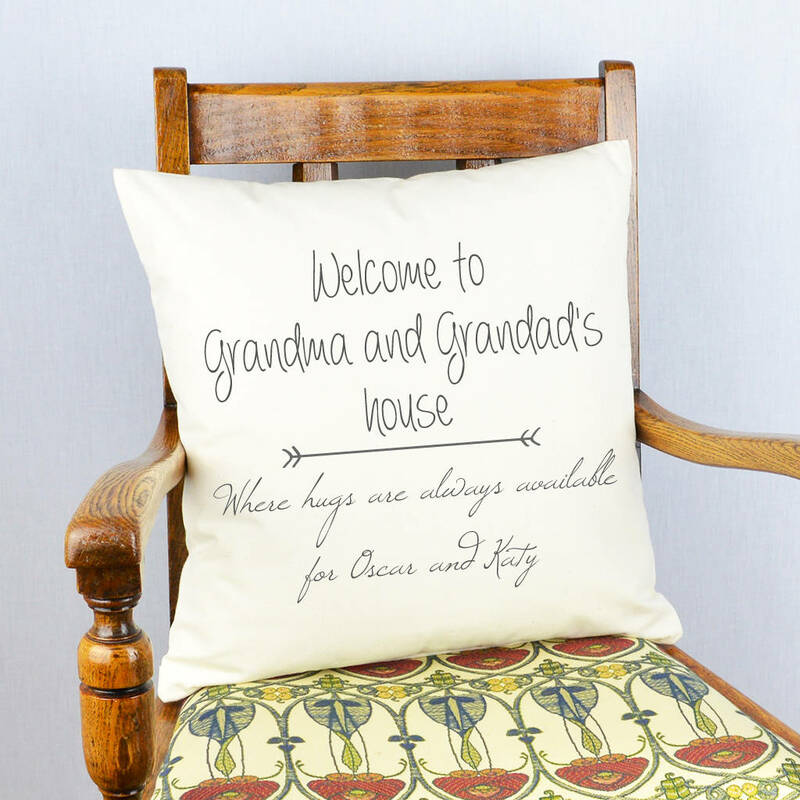 Our Personalised 'Welcome to Grandma and Grandad's House' Cushion, makes a great gift for any Grandparents from the Grandchilden. Any wording can be printed, such as 'where hiugs are always available', 'the kettle is always on', 'where there is always a cake being baked', simply type the wording that you would like printing into the option box and we will print it for you. These cushions make the perfect gift for any occasion, Birthdays, Mother's Day, Father's Day, Christmas, Weddings, Anniversary, Valentines, Easter, or if you just want to treat a special family member or friend!